Nvidia has officially unveiled three new GPUs – the 9800GTX+, 9800 GT and 9500 GT. The new 9 series chips bring support for Nvidia's acquired 'PhysX' physics technology as well as offering CUDA parallel processing. 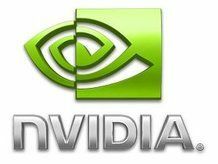 "The addition of the new 9800 GTX+, 9800 GT, and the 9500 GT GPUs brings a new level of visual computing capability to additional mainstream market segments," said Ujesh Desai, general manager of desktop GPUs at NVidia. "Nvidia GPUs deliver the best bang for the buck in each price category, and with support for CUDA, PhysX, and 3D stereoscopic technology, consumers can now experience the unique, innovative, and immersive computing experience that only NVIDIA can deliver." Nvidia's new GPUs are now more capable of operating certain non-graphical processes to ease the strain on the central processing unit (CPU). The inclusion of PhysX allows more efficiently processed physics within games and applications – and should allow for more realistic collision and dynamics.